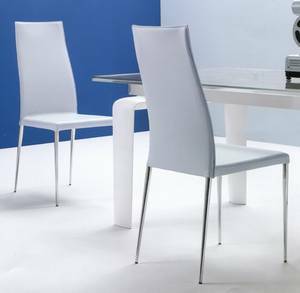 Description A slender dining chair that adds style to the modern dining room. Fia has a strong metal structure with seat and backrest padded and unholstered in fabric or leather, see sample links below for all options. Tapered chromed legs.